1 Million Student Loan Defaults This Year – Is Bankruptcy the Answer? Are you at risk of student loan default? As student loan debt rises, so does the number of those defaulting on their school debt. The numbers are staggering, with more than one million student borrowers defaulting on their loans this year alone. Outstanding education debt in the US tripled over the last 10 years. Currently, more than $1.5 trillion is owed in student loans by more than 44 million Americans. With a million borrowers going into default this year, it’s not a good sign. If the trend of unaffordable student loan payments continues, experts predict that nearly 40% of recent graduates could be in default by 2023. These numbers are not encouraging despite the economy at large doing well recently. The student loan problem is getting worse, say many organizations that are crunching the numbers on this debt. 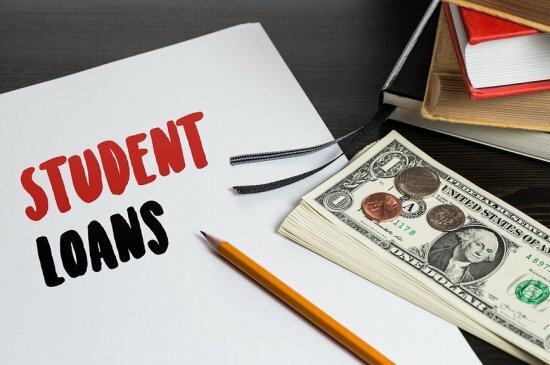 According to a report from the Urban Institute, a progressive think tank in Washington DC, more people are in student loan default now than ever before. The report on loans held by borrowers who entered repayment in 2012 found that up to 250,000 borrowers default on their federal student loans each quarter. This is called a cohort and is a term of particular concern to the Department of Education. If those just coming out of school can’t afford loans, it can kick off a lifelong battle with student loans that can follow the debtor literally to the grave. Of the loans analyzed by Urban Institute, nearly 25% defaulted on their loans within four years of leaving school. Even borrowers who were previously in default and were able to rehabilitate their loans fell back into default, with 20,000 to 30,000 defaulting each quarter. Smaller Loans – Higher Default? You might assume that the greater the debt, the more likely the graduate would go bad on their loans. The numbers show something different. Interestingly, borrowers with a smaller amount of student loan debt were found to have a higher likelihood of default. Roughly 32% of borrowers with a balance of $5,000 or less went into default at least once within four years post-college, compared to just 15% of borrowers who owed more than $35,000. So what’s driving this seemingly counterintuitive incidence? One explanation for this statistic may be that people with low student loan debt were unable to complete their college or vocational training. Those who drop out have less debt but often more difficulty paying their student loans since they don’t have the benefit of a degree and commensurate opportunities. Student loan default can bring devastating consequences. Your credit score can drop 60-100 points if you go into default on top of the impact missing payments has on your score. Loan servicers can garnish your wages (which other creditors cannot do in North Carolina). They can also seize your income tax refund and put liens on your home or vehicle. Servicers can sue and get judgments to attach your property or even drain your bank account. Federal loan servicers have unparalleled powers of collection and no statute of limitations on the debt to stop them. Even if you’re unable to discharge your student loans in bankruptcy, wiping out other debts can make room in your budget to get back on the right track and afford an income-driven repayment plan or another long-term solution. Be sure to read reviews from our clients, then call 1-888-234-4181. Contact the Law Offices of John T. Orcutt for a free student loan bankruptcy consultation at one of our locations in Raleigh, Durham, Fayetteville, Wilson, Greensboro, Garner or Wilmington.